Back when I was commuting, I was pretty rigorous about the books I'd listen to. I had an explicit cycle: Non-Fiction, Fiction, Self-Help / How-To and repeat. That kept me listening to a wide variety of content. Alas, these days I'm not as picky. I knew it had been a while since I've listen to any Self-Help / How-To, and so I went on the search for just such a title. 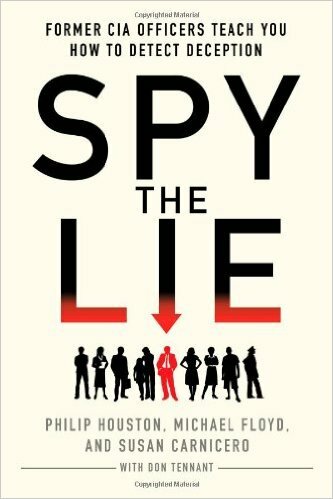 I ended up selecting Spy the Lie: Former CIA Officers Teach You How to Detect Deception, and it was an excellent choice. When asked the right questions, people who are lying have no choice but to show symptoms. In this case, the right kind of question is one that a truthful person can answer with ease, but a deceptive person needs to work at. A symptom can range from changes in body language, to commonly used retorts (such as getting angry with the question, or answering with an unusual degree of specificity). Sounds pretty unremarkable, right? Once you've been through the book and seen the specific examples of the technique in use, I'm confident you'll change your mind. It's amazing to see just how effective asking the right questions can be. Forget everything you've learned from the cop shows on TV. And no, you're not going to be able to read microexpressions. No, if you want to know if someone is lying, this is your method. It'll take tons of practice, but I've got no doubt it works. Trust me, I'm telling the truth.